Reid Tracy , Hay House, Inc.
Do you know you have a book inside of you but don’t know how to get started? Are you worried it’s too late to write your story? Do you have a great story idea but feel you lack the writing skills to see it through? Here’s the Truth: If you have a calling to write a story or a book, that unfulfilled feeling inside will never go away until you start honoring the writer and messenger inside of you. You’ll also never experience that great sense of relief and purpose that comes when you follow your life purpose of writing your important book. Your book, your message or your personal story can help people truly change their lives. There’s no better feeling in the world than knowing you helped someone else by sharing your experience with others. Even if you aren’t the best writer, there are many options for getting your book written. Even if you’re not quite sure how to publish or market your story, there is a way to learn all you need to know. Over the past 6 years, Hay House has been conducting Writer’s Workshops to help passionate writers like you get their message in print and out in the world. With prolific self-development and spiritual authors like Dr. Wayne Dyer, Deepak Chopra, M.D., Doreen Virtue, Marianne Williamson, Gregg Braden, Kris Carr, Louise Hay, Mike Dooley, Lynne McTaggart, Michael Neill, Nick Ortner, Gabrielle Bernstein and many more, these exceptional and successful writers and teachers have all attended the Writer’s Workshop all across the globe to share what they’ve learned about writing, publishing and how they got started to help writers like you reach their publishing dreams. Our main goal is to help you succeed in becoming a successful published author! The live, intensive 2-day workshops are led by Reid Tracy, CEO and President of Hay House. Reid has secured over 60 New York Times best-sellers for Hay House in the last 28 years. Hay House is now the largest self-empowerment publishing company in the world. Reid knows exactly what it takes to get noticed by a publisher and what publishers are looking for in new authors. Now Hay House is offering the Writer’s Workshop in the new Writer’s Workshop Online Course, with over 40 hours of exclusive content from industry experts. You can become a successful published author and make your writing dreams come true – and Hay House can show you how! Pre-Recorded Interviews with Reid Tracy, Agents and Authors: Get guidance in taking the right steps for your publishing success. Free Future Updates: Writer’s Workshops we do in person will be automatically available to you online so you can continue learning and expanding your writing and publishing career. Get more great advice from newly added authors like Mike Dooley, Lynne McTaggart, Michael Neill, Nick Ortner and Gabrielle Bernstein. Additional writers, like Caroline Myss, are coming soon! When you take part in this comprehensive online course, all the guesswork is removed so you can focus on finishing and publishing your important work! Imagine what it would be like for you to learn the writing secrets from some of the world’s most influential and spiritual authors! The Writer’s Workshop Online Course offers this very rare opportunity. What makes this online course so unique and rare? For starters, you not only learn from one exceptional author as you would in an in-person workshop, you’ll learn from 22 well-known and established authors! PLUS, each time Hay House has an in-person Writer’s Workshop, you’ll automatically have access to this new information and new authors for years to come! In other words, this Writer’s Workshop Online Course offers endless wisdom, writing tips and the newest in publishing every year – and all for one very low price. The investment you make in this course is nothing compared to the cost of mistakes many new authors make in this complex industry! Let’s dive deeper into what you’ll gain during this 6-week intensive course! It’s Time to Write Your Empowering Story and Share it with the World! The Writer’s Workshop Has Everything You Need to Go From Aspiring Writer to Successful Published Author! If you have a great book idea and a strong desire to be published, this is your chance to make your dreams come true! 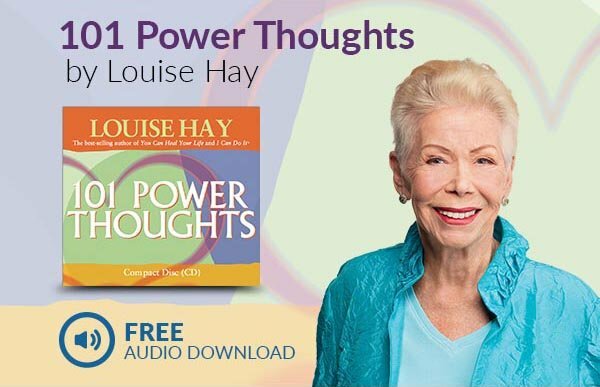 Imagine your name and book cover in the Hay House catalog, or at an I Can Do It!® event or hosting your own Hay House Radio show! This is more than possible if you are passionate about sharing your story and committed to the process. But let’s say you decide to register today for this course and you find after listening to the first week of lessons that this course isn’t for you. No problem. Your registration fee is completely refundable. We want you to feel confident in your decision to take part in the Writer’s Workshop Online Course. There is absolutely no risk to you at all!